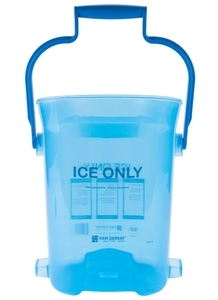 Safely transport and protect ice from dangerous cross-contamination with this San Jamar SILD6000 6 gallon light duty ice tote! 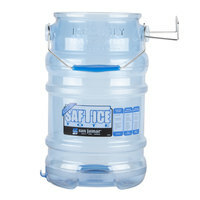 Perfect for light-duty applications in bars, restaurants, and hotels this bucket is designed to transport up to 25 lb. of ice. Additionally, its durable, copolymer polypropylene construction provides long-lasting use that will withstand daily wear and tear. 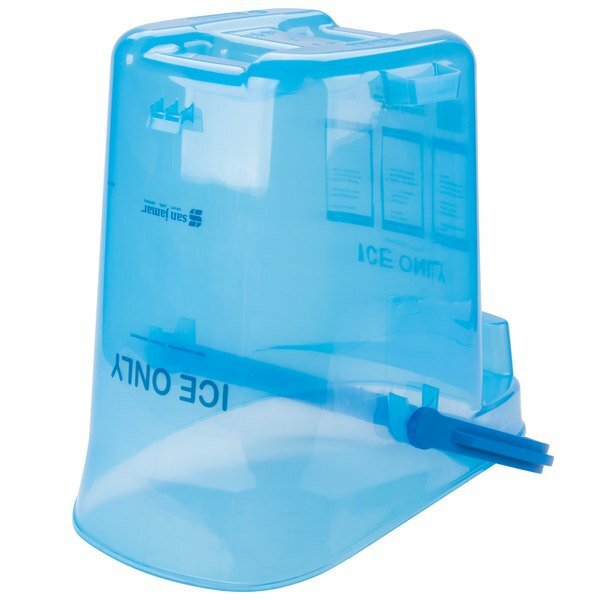 Regardless of your facility, this ice tote will ensure that your drinks are kept cold and your ice is kept sanitary and safe. "I've been searching for this item for a while now and this is by far the best price I have seen. It's a must have for any bar or restaurant." 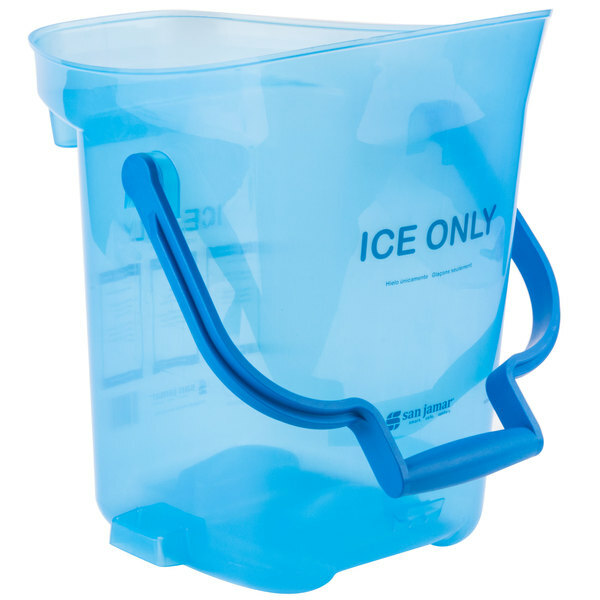 This bucket features a hanging hook so you can easily attach it to an ice bin for faster and easier filling. When in place, it allows for effortless transfer of ice from the machine to the tote, increasing both efficiency and safety. The innovative design greatly reduces the risk of physical stress and bodily injuries along with promoting better sanitation. Other helpful features include a built-in Handi-Hook and extra hanging bracket. Both items permit the tote to be hung on either metal shelving or empty wall space in order to provide unlimited versatility. 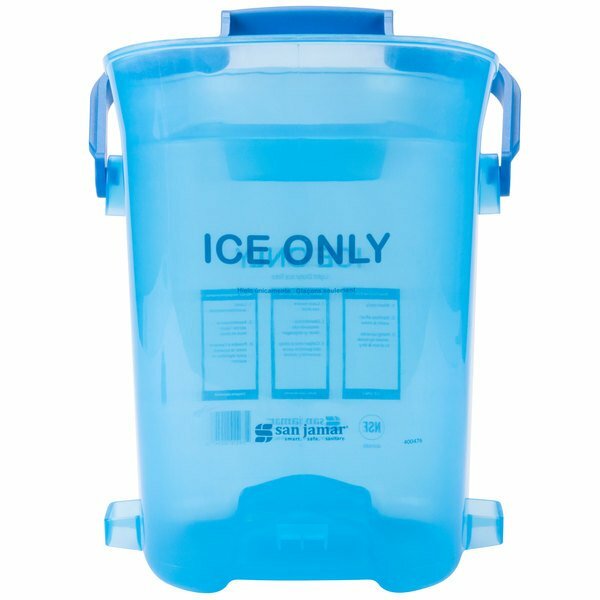 Thanks to an ergonomic handle for exceptional comfort, this bucket takes the hassle out of keeping your drink station stocked with ice. Plus, the angled top opening helps prevent spills when filling and acts as a spout for enhanced control when pouring ice. 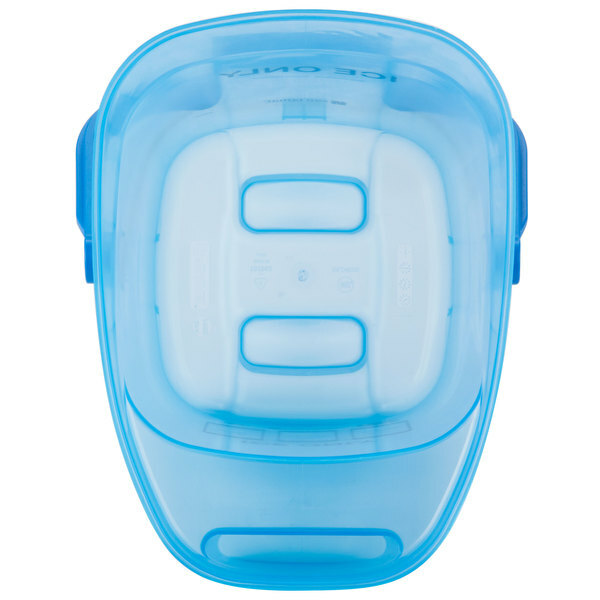 The non-nesting style and recessed bottom work together to ensure safe, sanitary storage by keeping the tote above the floor, unlike similar totes which would spread contaminants when stacked within one another. Accommodating up to 25 lb. 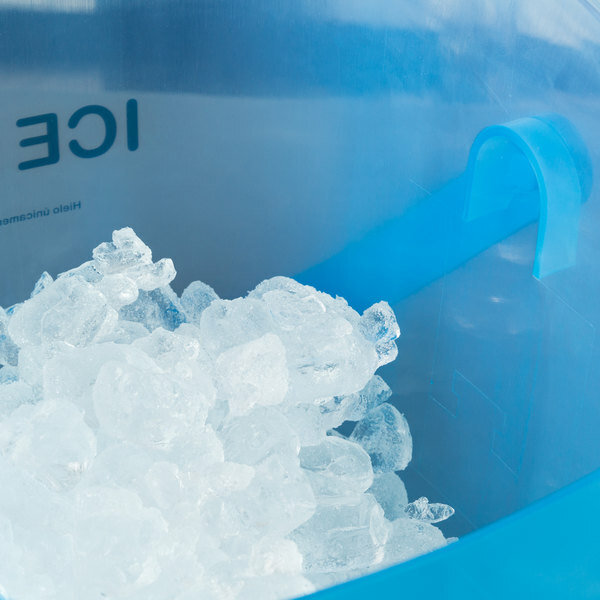 of ice or holding up to 6 gallons of water, this bucket is the perfect balance between a large capacity and an easy-to-use container that won't get unbearably heavy when filled with ice. 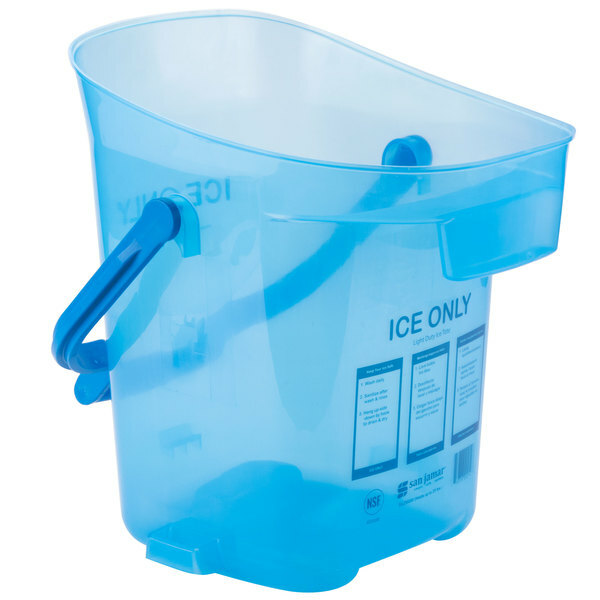 The words "Ice Only" are printed on the outside of the bucket while a distinct blue color notifies workers of its sole application to help prevent cross-contamination in the kitchen. 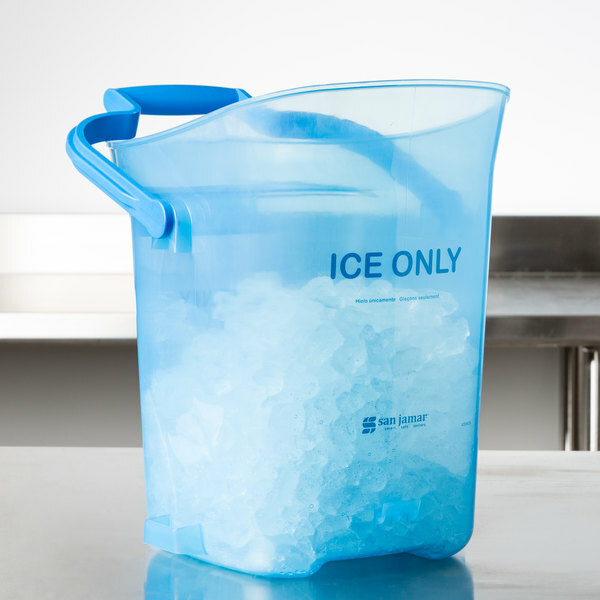 Ice Storage Capacity: 25 lb. 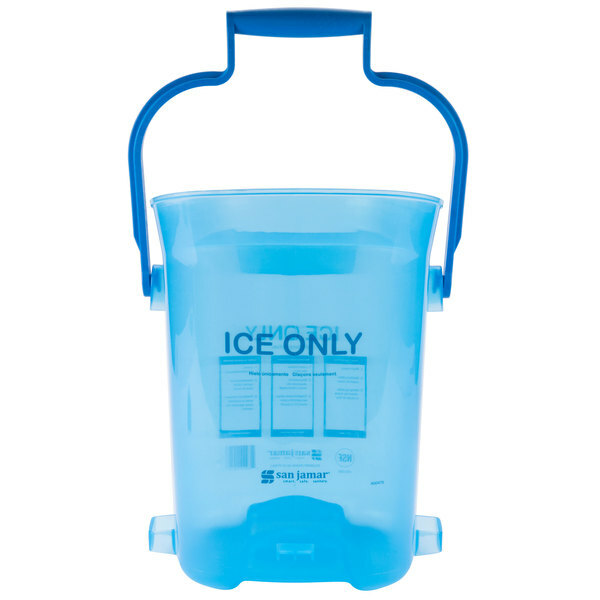 Ice Storage Capacity: 6 gal. 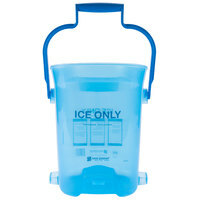 Ice Storage Capacity 25 lb. Well-made ice tote. I wish it would come in other colors as the blue looks very industrial. 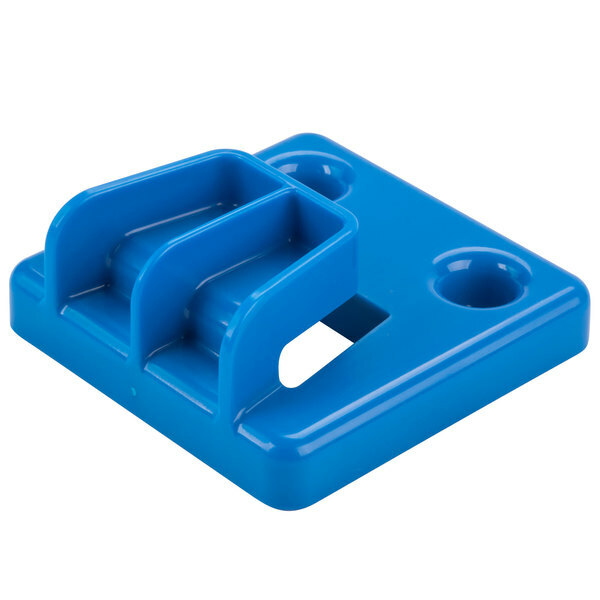 It can be easily mounted to an ice bin or wall mount. I do not recommend placing this on a counter as it is quite high and difficult to reach into at counter height. 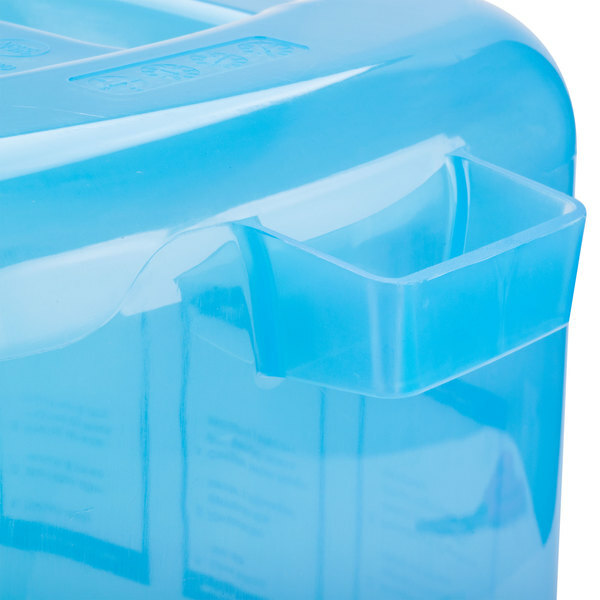 Great product for transporting ice from ice maker to ice storage bin. 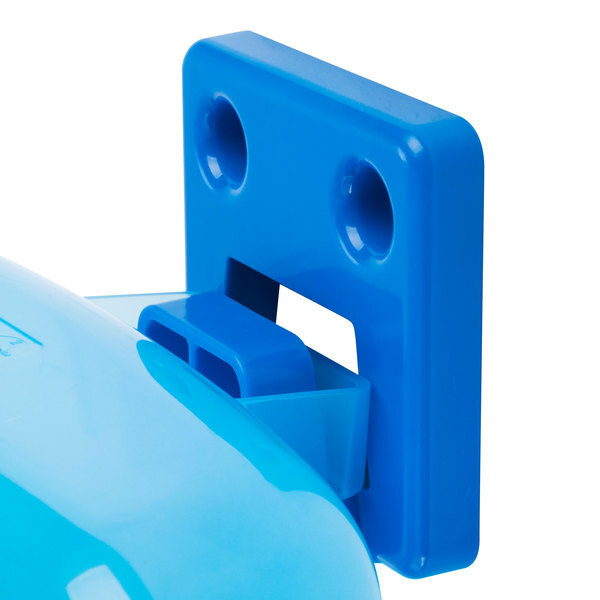 The handle provides an easy grip and even our smaller, weaker employees can get the job done. Great product! It is sturdy, reliable and a great price. 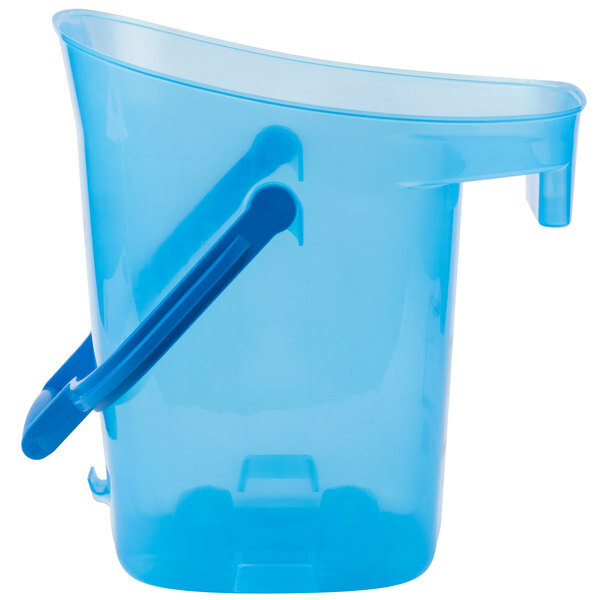 Our employees love using these buckets because they are easy to carry and store. Love, love this product. This product is great. It has sturdy plastic. 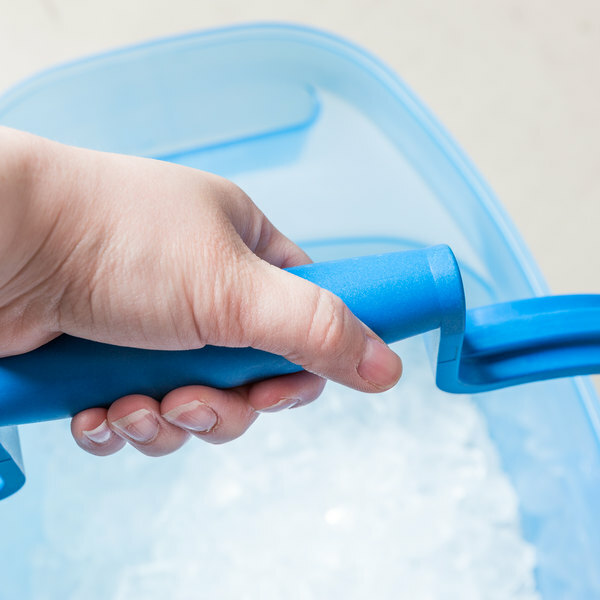 The handle and grip are easy to use and can hold large amounts of ice to fill up an ice well. Used these for our restuarant and they’ve been great. Would highly recommend. Much easier on our Front of house staff to use for hauling loads of ice. 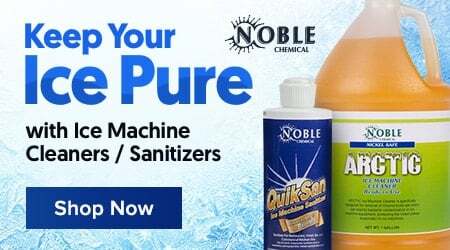 Great product, i will buy more from this company. valuable and really really worth every single penny you spend on this product. go for it. Avoid this tote! 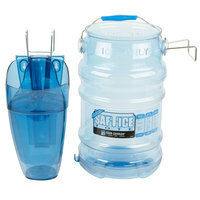 Over the years I have used the Saf-T-Ice tote from San Jamar and the Rubbermaid version at our stores with no issues. I decided to try this one because of the price. It lasted 3 months before both buckets cracked. The plastic is just not made for even the lightest duty application. San Jamar needs to pull this item from their lineup altogether. I strongly urge you to try any other tote besides this one. With that all said, San Jamar did refund my purchase for both totes because I did not want a direct replacement. This little tote is perfect size. I don’t like huge bins because I’m a small girl and can only carry so much. But it holds a good amount of ice and isn’t a cheap plastic. I love that it has the little handle on the side so you don’t need to hold it while also scooping ice. 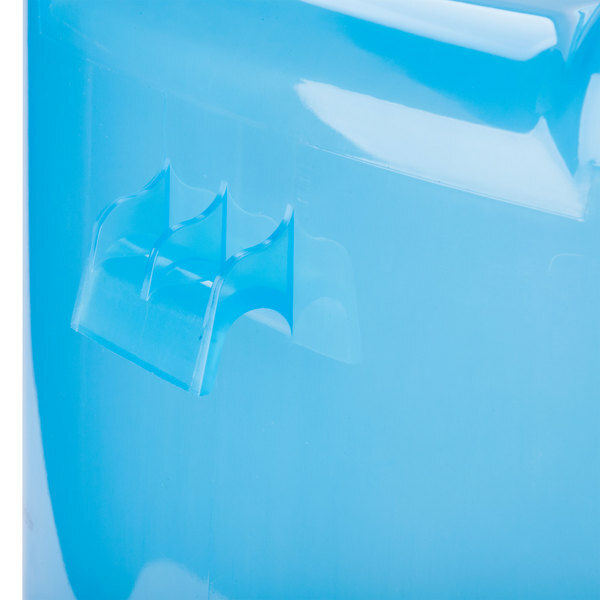 Great quality ice bin. I've been searching for this item for a while now and this is by far the best price I have seen. It's a must have for any bar or restaurant. Really great find for small buisness. Easy storage and love the side handle that hangs bucket from ice machine. 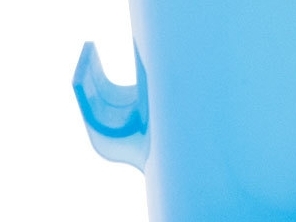 The reverse handle is nice to help limit hand contact with ice being poured in.